Light Detection and Ranging (LiDAR), is a remote sensing method that uses light in the form of a pulsed laser to measure ranges (variable distances) to the Earth. SEAS incorporates two different LiDAR technologies: Terrestrial Laser Scanning Systems and Mobile Mapping Systems. SEAS owns the FARO Focus 3D X330 HD high-speed imaging laser scanner. The X330 provides High Definition Photo Resolution which provide color overlays and enable a colorized point cloud to be delivered. The X330 can collect up to 976,000 points per second at a range of 307 meters. The X330 is very accurate having a ranging error of +/- 2mm. In combination with the laser scanning, imagery is acquired by a digital camera, which is calibrated to the center of the scanner and provides high resolution imagery that can be rectified to the scanned surface, producing a digital orthophoto. SEAS has been performing Mobile LiDAR surveys since 2010, being one of the first survey companies to put mobile LiDAR on a survey vessel in the US. SEAS utilizes the high precision LYNX Mobile Mapper System (MMS) by Optech. The LYNX system incorporates LiDAR, GNSS and the Applanix POS LV IMU (Inertial Measurement Unit) technologies into a sensor that can produce survey grade 3D data from a mobile vehicular platform. The LYNX MMS can be mounted on a variety of platforms including road, rail, and marine vehicles. With system accuracy, better than 5 cm and a resolution of up to 1 cm, the LYNX Mobile Mapper offers unprecedented 3D detail – all from a vehicle moving at speeds up to 60 mph. LiDAR data is collected at a rate of 400,000 points per second in a full 360° field of view and with georeferenced images. The LiDAR data is used to create DTMs for topographic surveys and 3D CAD models for structures. The system has a range of 200 meters. Accuracy varies by distance, but typical accuracies in the 1-2 cm range are achievable. SEAS has scanned thousands of miles of navigable waterway for the USACE IENC program. We have processed and extracted bridges (and all associated features), locks & dams, aerial crossings, mooring cells, docks, revetments and all other navigation related features. SEAS has also scanned roadways; airfield taxiways, runways, and aprons; levees and levee walls; canal walls; large parking areas; etc. For small photogrammetry projects SEAS provides Aerial Imagery Collection and Processing utilizing Small Unmanned Aircraft Systems (sUAS). An sUAS, sometimes called a drone, is an aircraft without a human pilot onboard. Instead, the sUAS is controlled from an operator on the ground. sUAS provide alternative methods for creating lower cost survey-grade maps. SEAS entry into the sUAS arena began in 2015 with the purchase of the senseFly e-Bee professional mapping drone. The SEAS sUAS fleet currently contains 6 aircraft: 5 multi-rotor and 1 fixed wing. 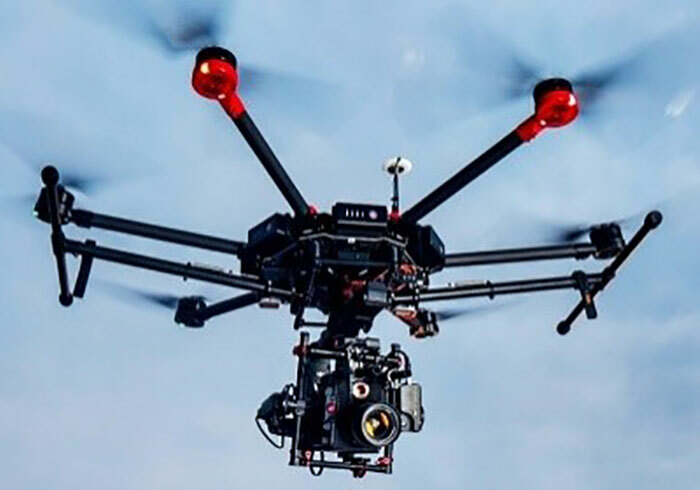 The operation of sUAS is highly regulated by the FAA and sUAS operators are FAA CFR 14 Part 107 certified remote pilots. SEAS sUAS fleet collects precise topographical images in combination with high-resolution aerial photos. We provide our clients with topographic and visual data which allows them to better assess, plan, design and maintain projects.